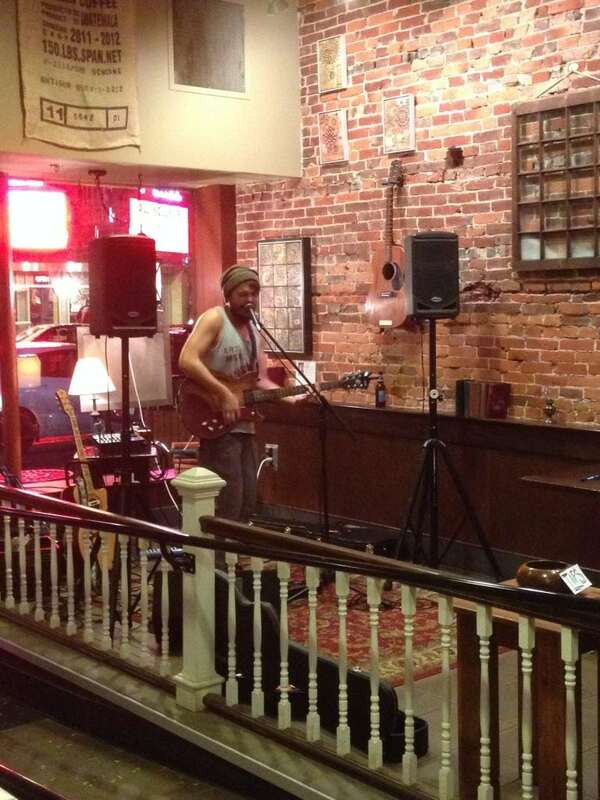 As Bloomsburg area residents and university students walked down the town’s Main Street on the first Friday evening of last month, they heard live music, saw local art and took advantage of special deals in many of the local businesses. All of that was part of the new First Friday: Art & Music Crawl in downtown Bloomsburg, an event in which local musicians, artists and businesses collaborate to bring the community together. The event will reoccur on the first Friday of each month. April Gilliland and Nick Rusnock came up with the idea to have a First Friday in Bloomsburg, an event that is “sweeping towns everywhere,” according to Gilliland. Gilliland and Rusnock worked with the Downtown Bloomsburg manager to plan the event and contacted local businesses, musicians and artists to find participants. “Being members in the community for a long time, as well as supporters of the music and arts, it was fairly easy for Nick and I to be in touch with several people including businesses,” says Gilliland. The event featured 14 participating businesses, from Fog & Flame and Highbrow Tattoo to the new Baker’s Guild Café. Several Bloomsburg University students displayed their art at Ready Go Burrito and Moonlit Oasis. 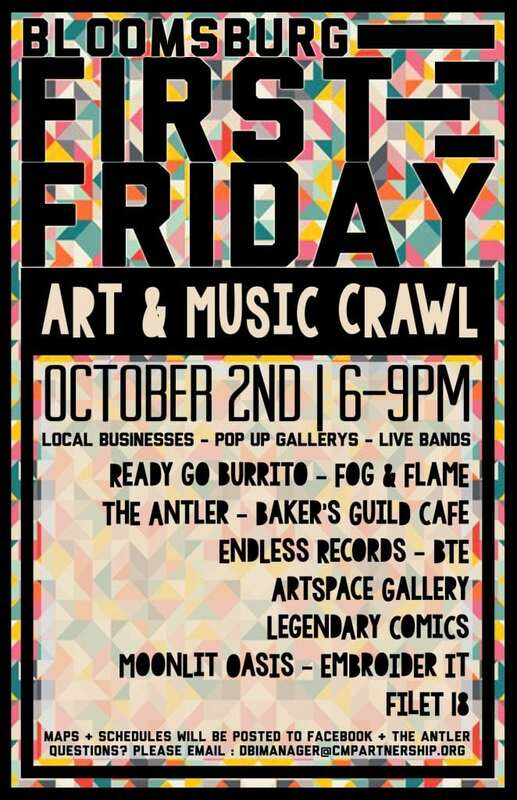 The next First Friday event will be held this Friday, Nov. 6 from 6 p.m. to 9 p.m. in downtown Bloomsburg.